Discover the place where fashion meets practicality in our collection of belts! Whether wearing for style, substance or both, our collection of men’s and women’s belts are ideal as gifts, or just as an addition to your accessory collection. 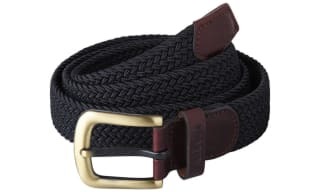 Our wide range of belts includes classic smooth leather, fashion forward suede and the ever practical cotton webbing belts to ensure you have a fantastic range to choose from. Within our belt department, you’ll even find traditional hand crafted polo belts which will instantly add a pop of colour to your outfit, as well as reversible belts so you can switch up your look in a matter of seconds! The Trouser braces are a must for have for any country gent’s wardrobe, from bold colours to a stylish country prints there is something here for everyone! 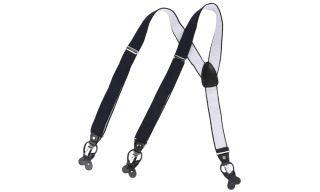 Our hardwearing, luxury trouser braces are the ideal accessory to complement your rural outfit. Packed full of country brands with Soprano and much more!